L.A. Artcore will be celebrating its 20th anniversary this Saturday. You can preview some of their auction items here. 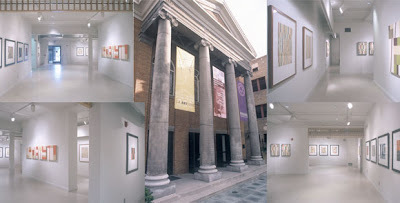 The gallery is located in the Union Center for the Arts - the venue that also hosts Tuesday Nights at the Cafe. This year Artcore will honor two nominees: Kenneth A. Colorado, an international artist who has made a significant contribution to addressing global warming, and Martha A. Canales, a pioneering spirit, educator, promoter, and collector of contemporary Latino Art. Tickets for the Annual Awards Benefit are available from L.A. Artcore. For further details please contact the gallery at: 213-617-3274.